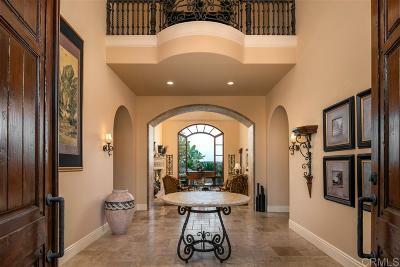 Enter the gates into the prestigious and coveted community of Rancho Pacifica. 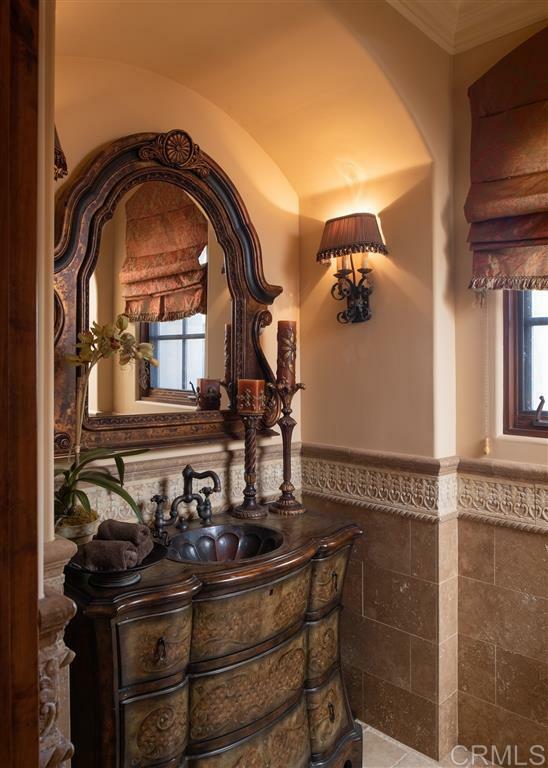 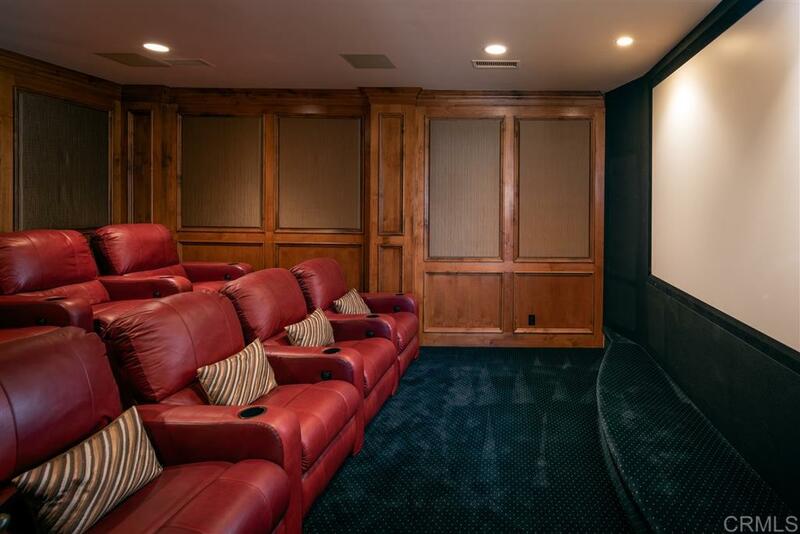 Evoking elegance and classic design, this estate was meticulously designed and crafted using a blend of high quality materials and finishes throughout. 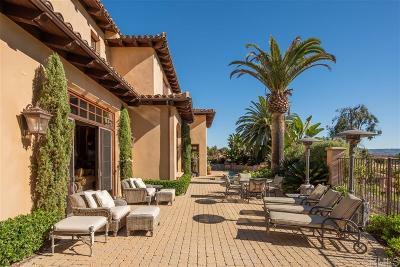 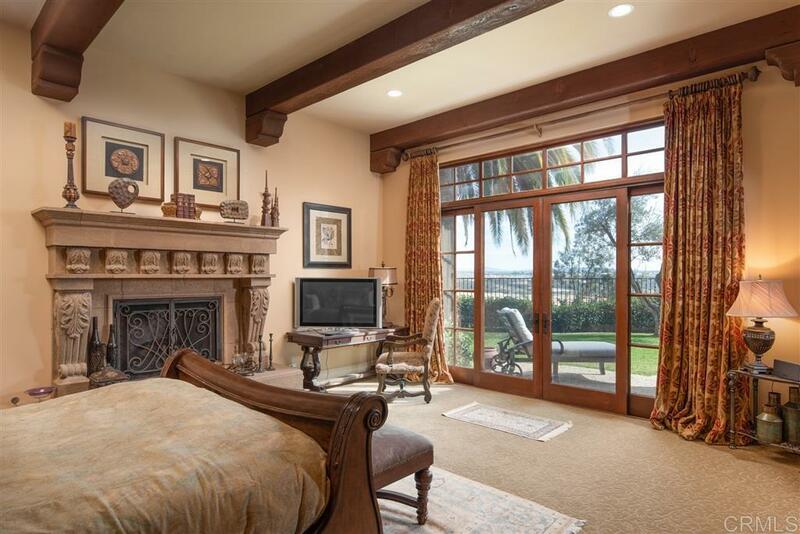 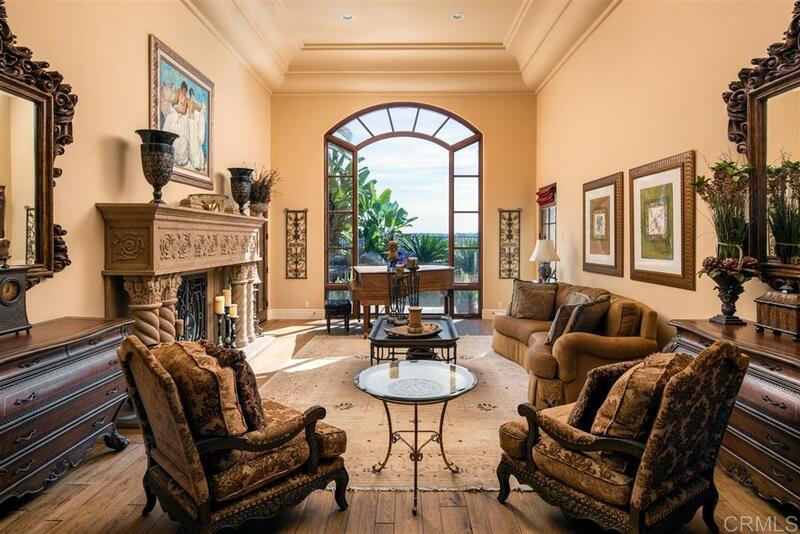 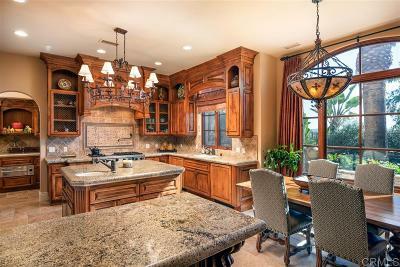 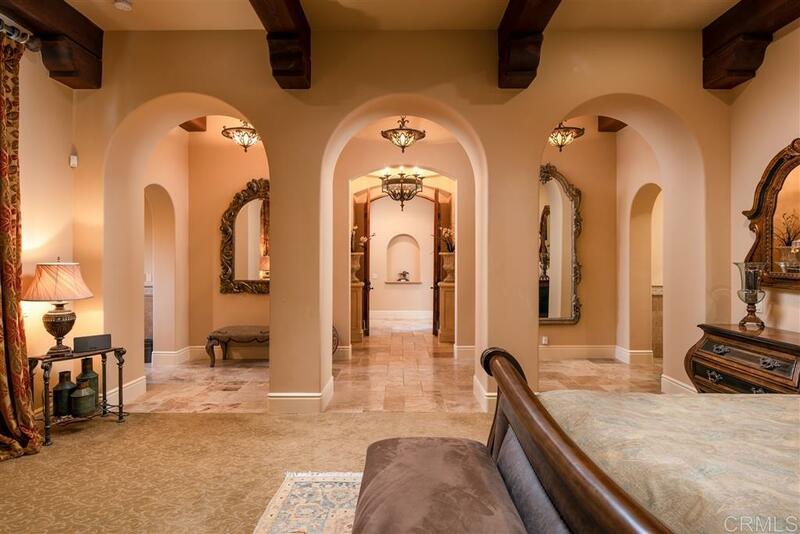 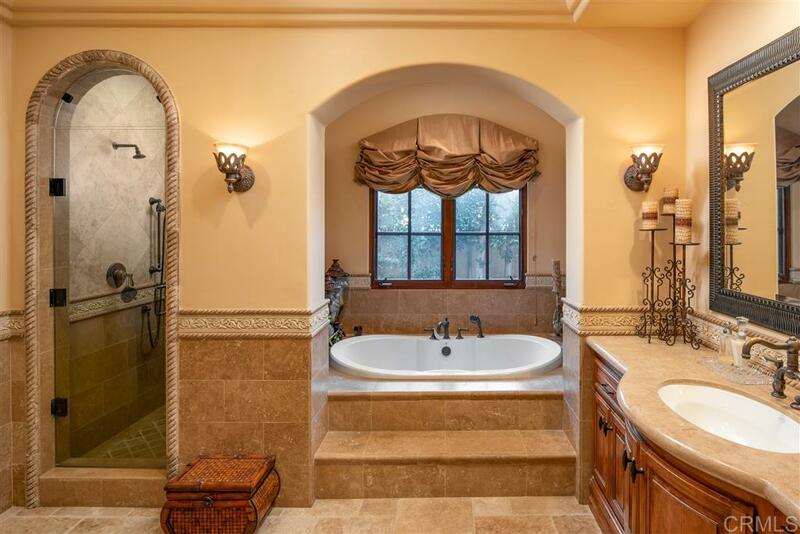 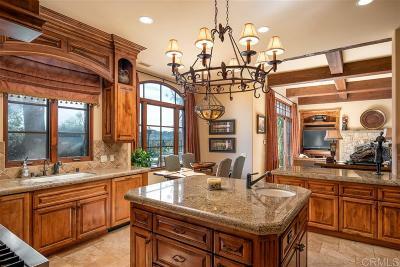 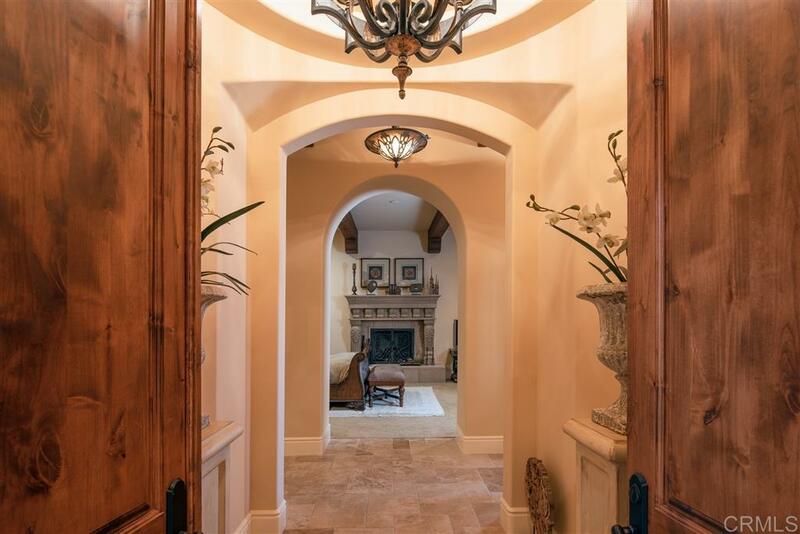 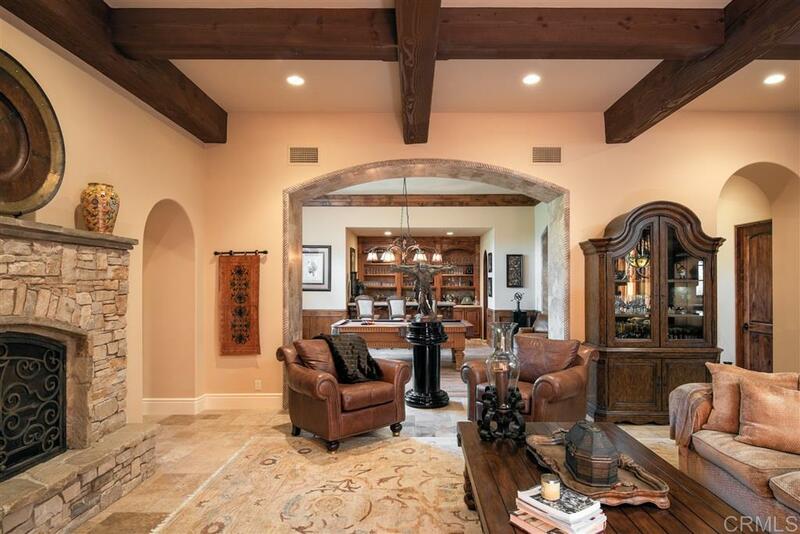 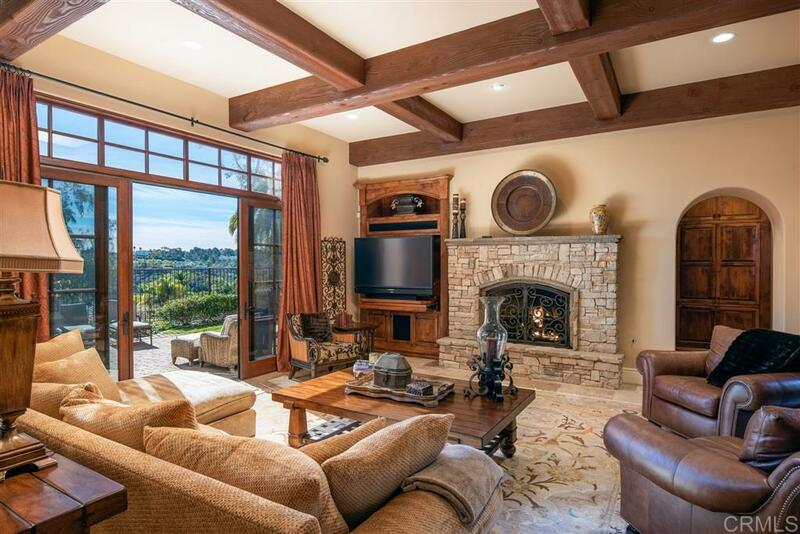 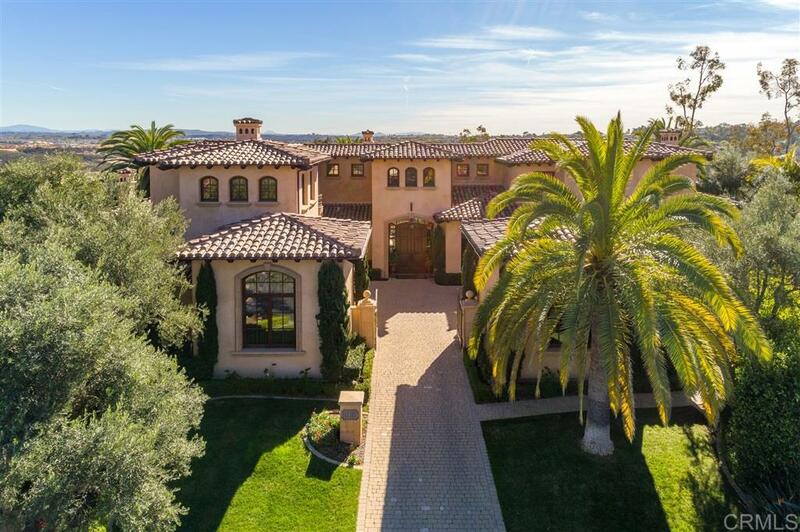 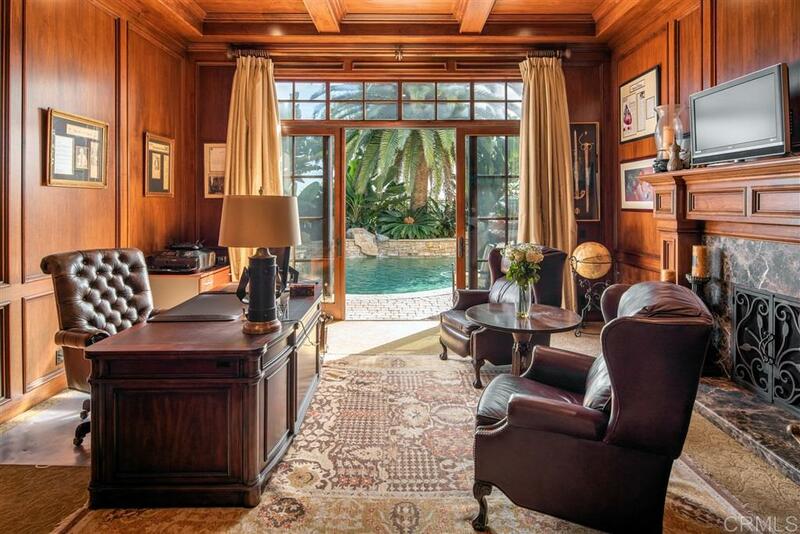 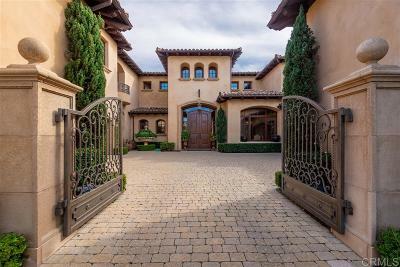 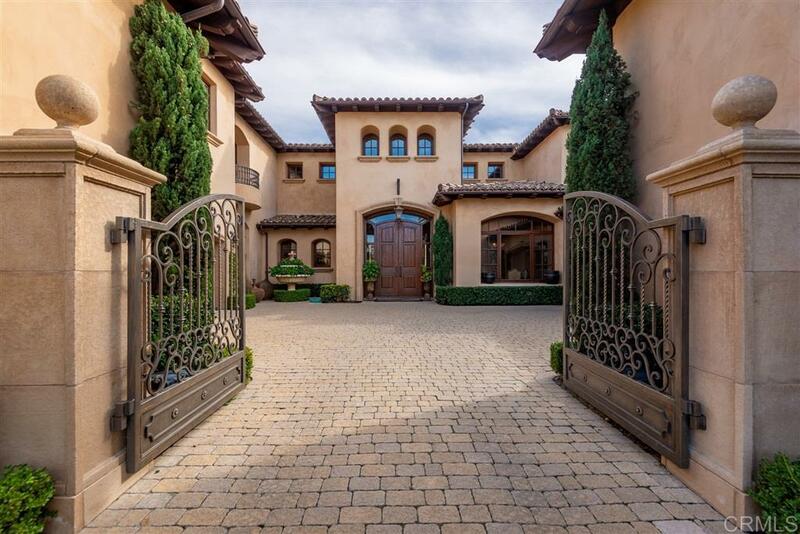 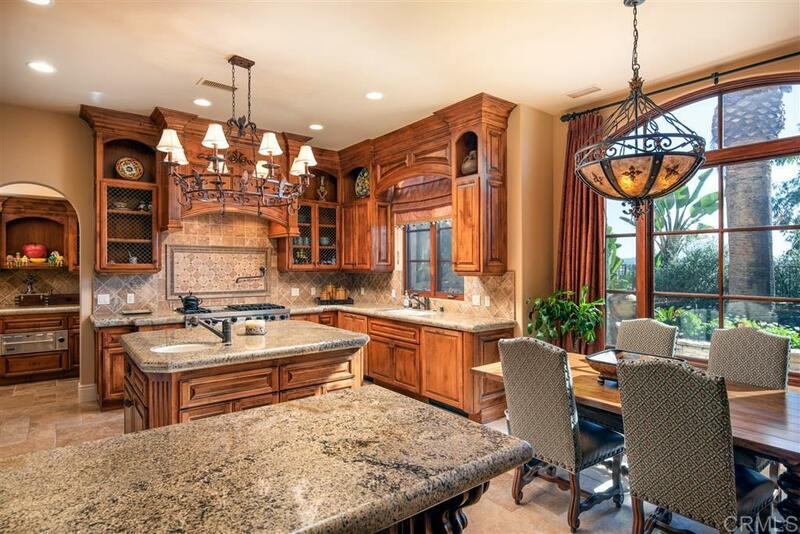 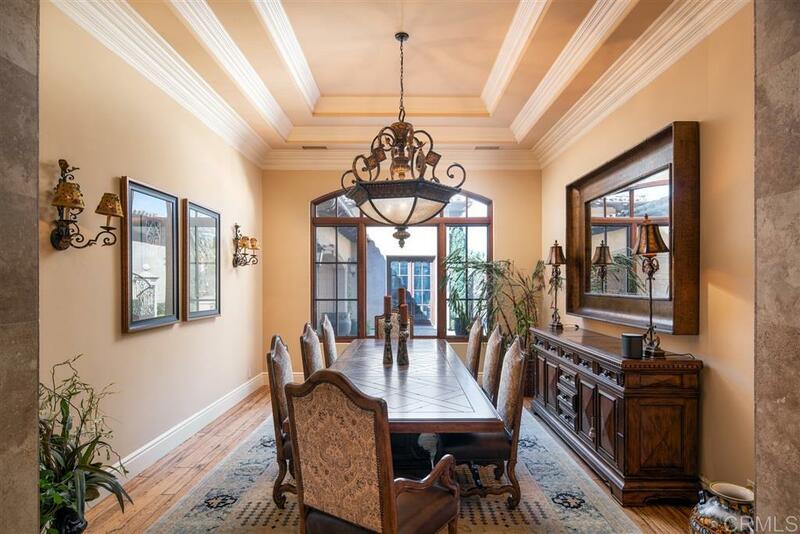 Set at the end of a cul de sac, all gated, with approximately 9,000 sq feet of living space. 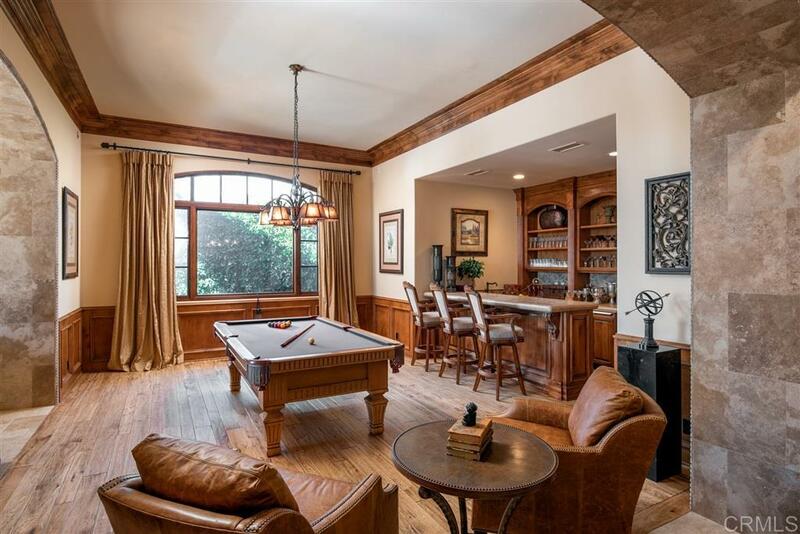 The property opens to a wonderful floor plan that flows perfectly for entertaining and everyday living., The two-story foyer makes a grand first impression and introduces living areas that include a state-of-the-art media room with terraced seating; a stunning library with walnut-paneled walls and ceiling; a billiards room with full service bar and wine cellar; a formal dining room with coffered ceiling; formal living room that overlooks the pool and the beautiful grounds; five custom fireplaces; and a great room with an entertainment center. Handsome crown molding, wainscoting, wood and French doors, wood flooring are displayed throughout the six-bedroom, eight-bath home, which includes a first floor master suite with dual baths and dressing rooms, a secondary second floor master suite with separate sitting room with fireplace, and two additional second floor ensuite bedrooms. 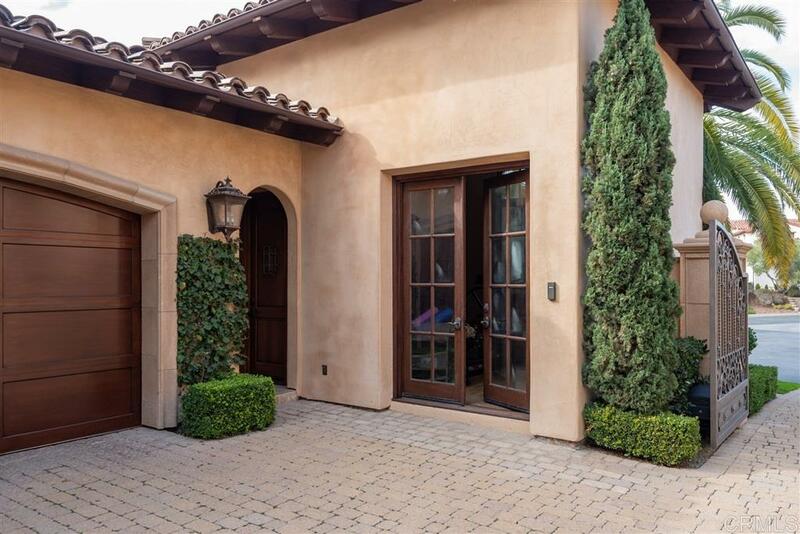 In addition there are two private, outside guest suites that open to the entry courtyard. Enjoy fabulous culinary endeavors in a chef's kitchen with informal dining,breakfast bar, stone countertops, and a commercial Sub-Zero side-by-side refrigerator/freezer with glass door. 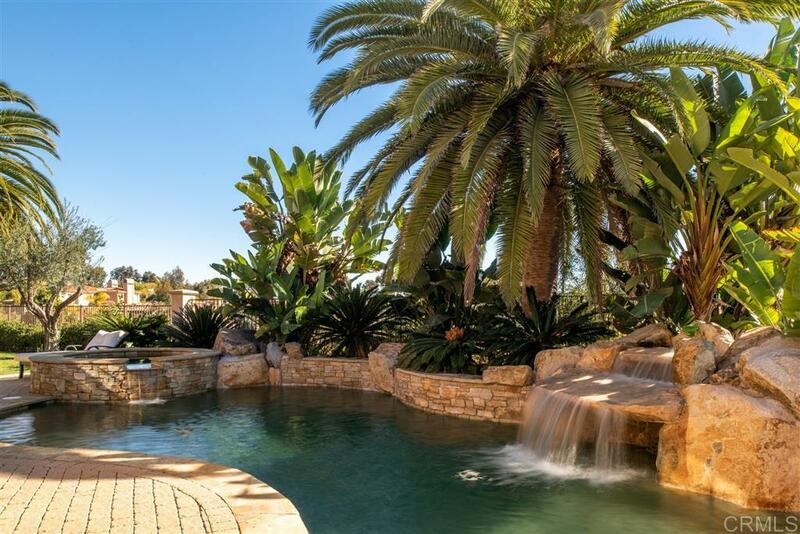 An intimate, masterfully landscaped low-maintenance home site minimizes water use and maximizes panoramic views that enrich a rear yard with pool, spa, waterfall, and outdoor entertainment bar with built-in BBQ. 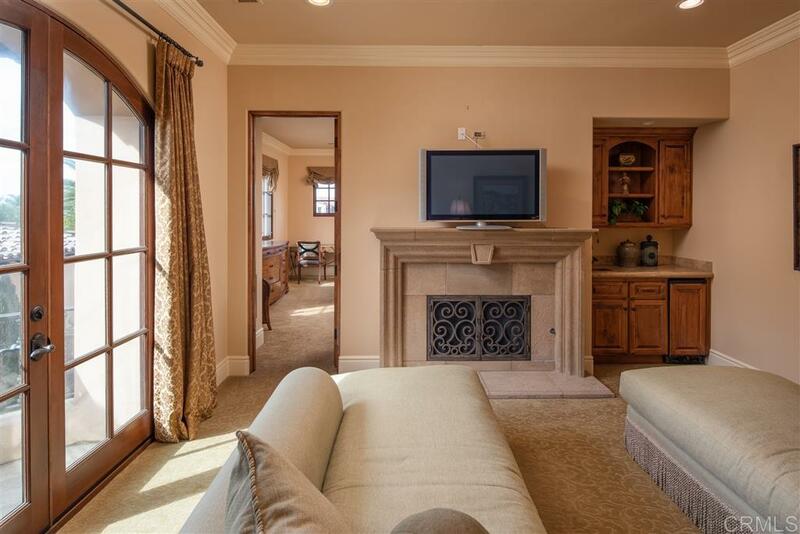 There are garages for four cars and a gated motor court offering additional parking.